Shortly after the Pearl Harbor attack, Japanese submarines began attacks on merchant ships off the U.S. West Coast. The American public’s fear of an imminent Japanese invasion was palpable. 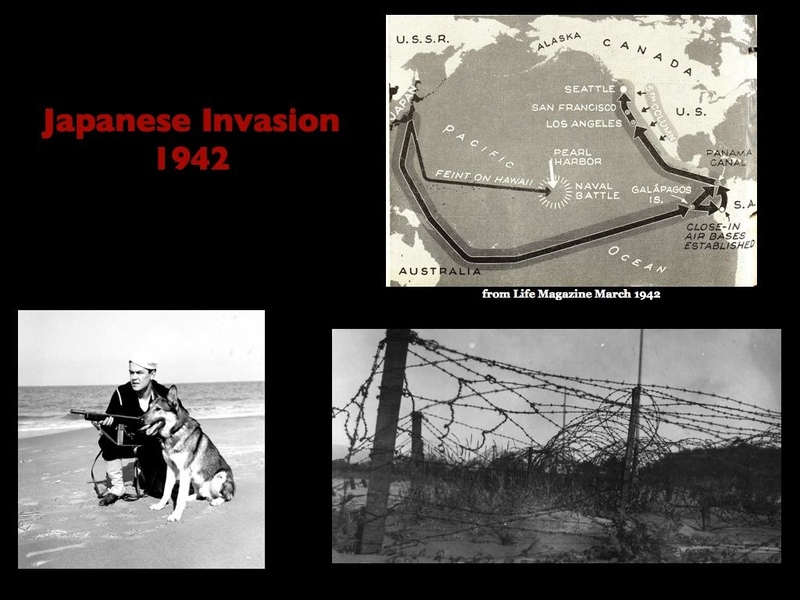 Rumors of Japanese invasion fleets, troop landings, air attacks and secret Japanese air bases in California and Mexico were rampant. Although the logistical feasibility of an attack on the coast was negligible, Japan did subsequently invade the Aleutians, and the threat of a naval defeat was a distinct possibility.